Cardi B’s 2019 GRAMMY Outfit was the Most Talked About! 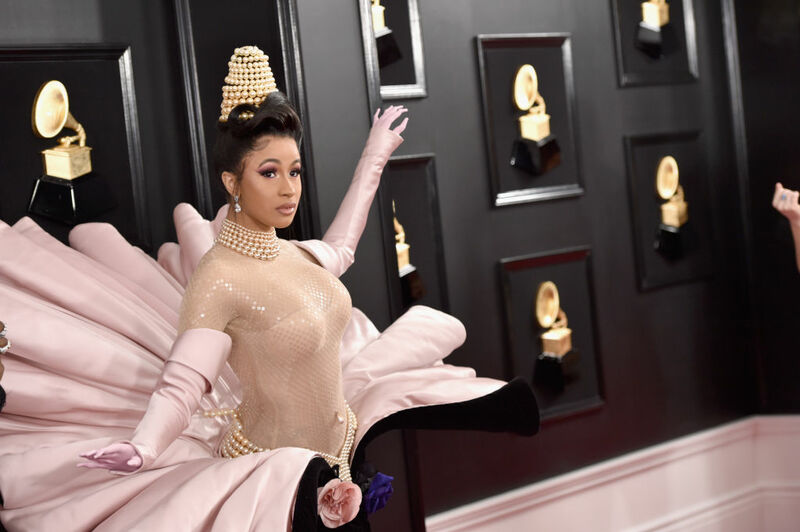 Cardi B has a very exciting night at the 2019 Grammy Awards – she performed on stage, she became the first woman to win the “Best Rap Album” award, and her red carpet outfit got so many people talking on social media. 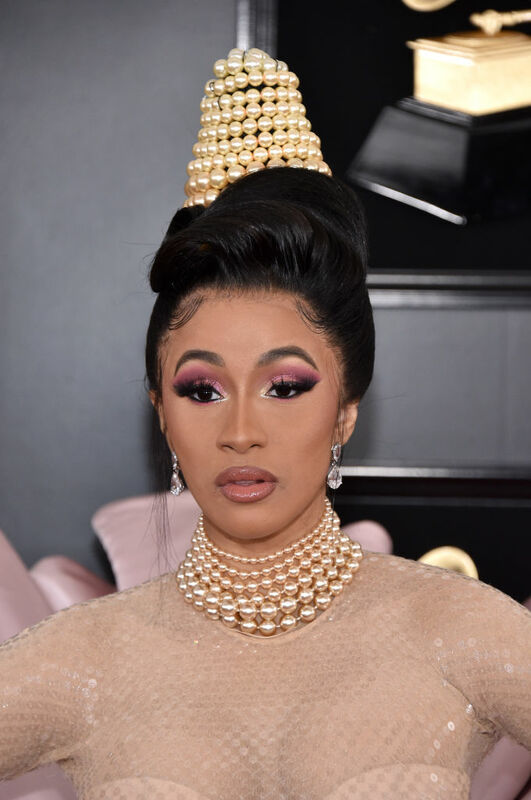 For the event, Cardi B went with a pink and black shell-shaped outfit with a headpiece made of pearls. The outfit itself is actually a throwback look as it is from designer Thiery Mugler‘s Fall 1995 collection. The dress was unveiled in 1995 as part of the brand’s 20th-anniversary party. 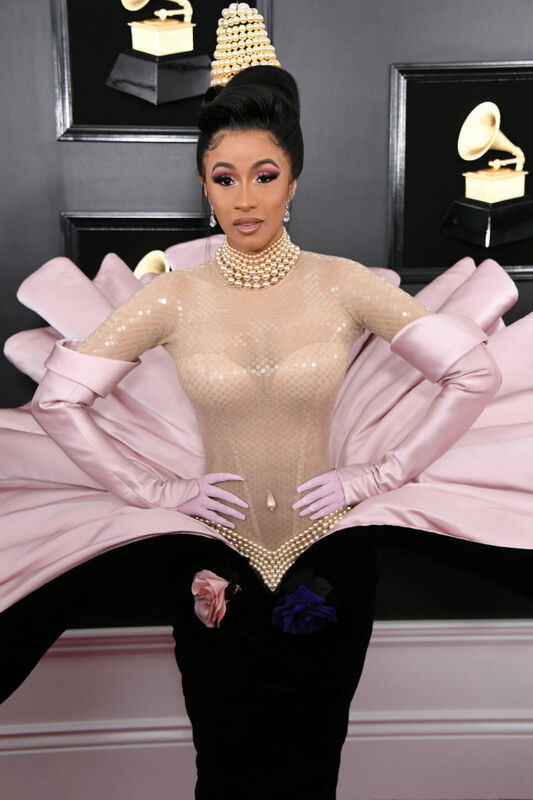 Cardi B completed her look for the night with a sequin bodysuit and long pink satin gloves. She also had husband Offset on her arm as her eye candy for the night. Cardi B attends the Grammy Awards exclusively wearing the pink duchess and satin velvet Venus sheath dress over a blush embellished bodysuit from the fall winter 1995-1996 couture show at the Cirque d’Hiver. Check out Cardi B’s look below.